I got a leisurely start this morning and left around 8am after finishing up the blogging I didn’t do last night. 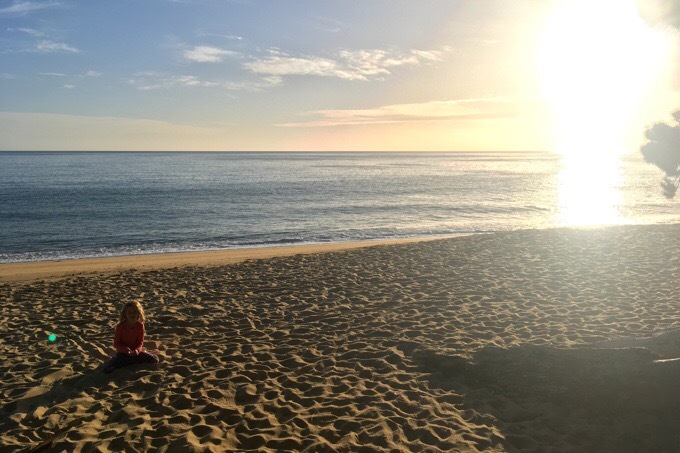 The kids from the family I met last night were up and little Jen was immediately at my side as I sat in front of the beach trying to post the blog. I immediately channeled that energy into someone that could help take my tent down, ha! 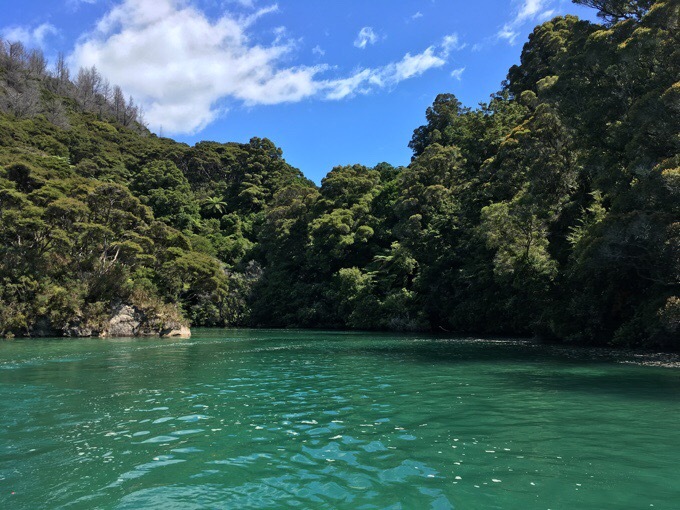 Thanks to Chris (Jen’s dad), I could afford a later start because, as I mentioned last night, he gave me the key to his car, which was parked at the terminus of the Abel Tasman. 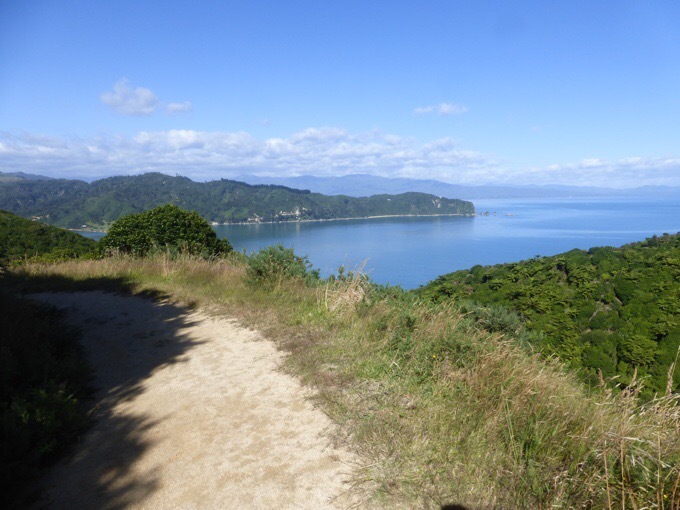 I just needed to hike to the end of the track, and then drive Chris’s car to Totaranui, where my water taxi was arriving, and Chris was hiking with his wife and kids. 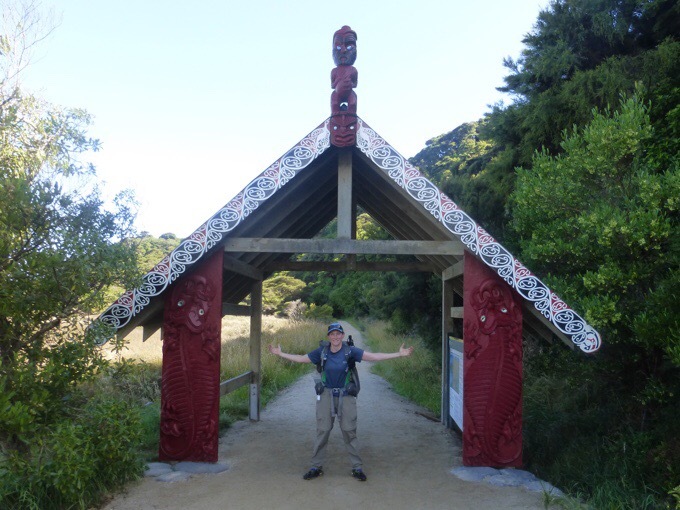 His car saved me the hike to Totaranui, and saved him the hitch back to his car. A win-win for all of us! Not long after I hiked out today, I realized that I didn’t have my sunglasses! Not again!!! I dropped my pack and ran back the few minutes to the campsite and looked around. I was wearing them while I was sitting near the beach blogging. I couldn’t find them and then little Jen ran over and looked and found them immediately. Whew, close one! The hike out from Mutton Cove went by fast. I took a side trip to Separation Point to get a bit more of the coast in before I finished. Interestingly, there are many little plastic Australian gannet birds on Separation Point with a speaker that plays the birdsong of a gannet. It is being done in the hopes of bringing the endangered species over here to breed and hopefully thrive. After Separation Point, it was mostly forested track. Again, I had much of the morning all to myself on the track, and I love that. 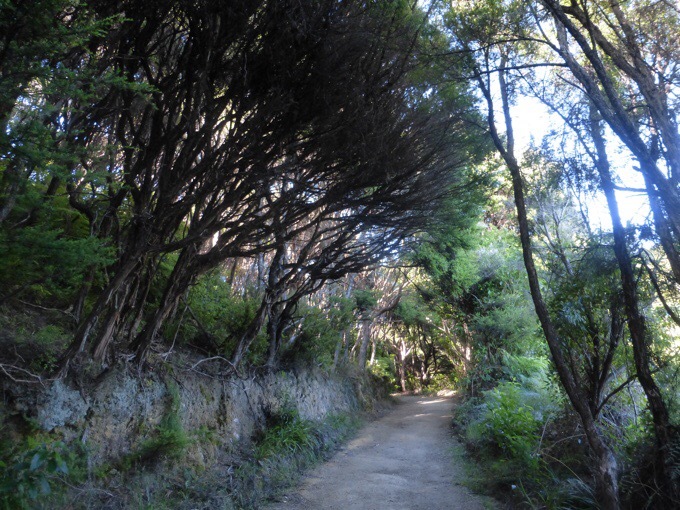 It wasn’t long before the track dropped down to Wainui carpark. It was a nice downhill cruise with my last coastal views of the track. 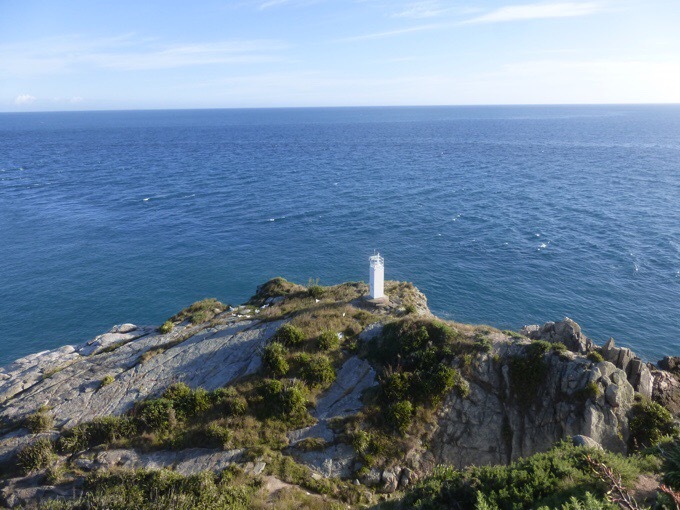 I made it down by 10am and quickly transitioned to drive over to Totaranui. It was a very windy one lane gravel road much of the way for about 30mins of driving. That’s quite the road to trust someone to drive your car on! 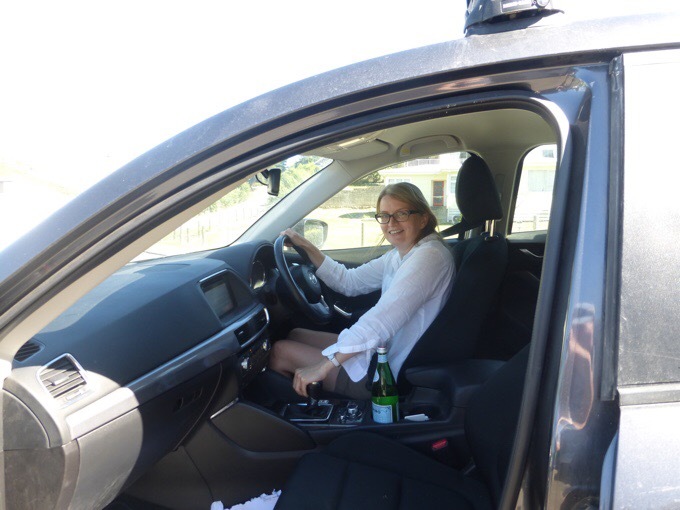 Plus, I can now say I’ve driven in New Zealand where the driving lane and the driver’s steering wheel are reversed from what I’m used to. It was a weird feeling to drive on that side. 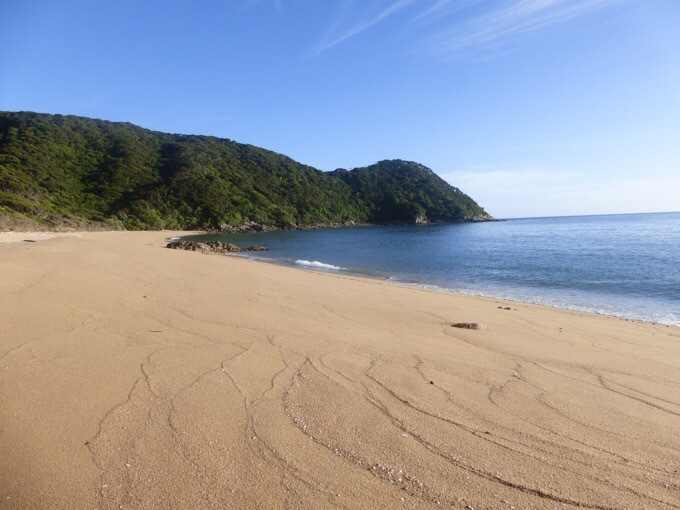 I made it to Totaranui with about 30mins to spare before the water taxi arrived. With the time I saved, I was fortunate to get on the first ferry of the day at 11am. 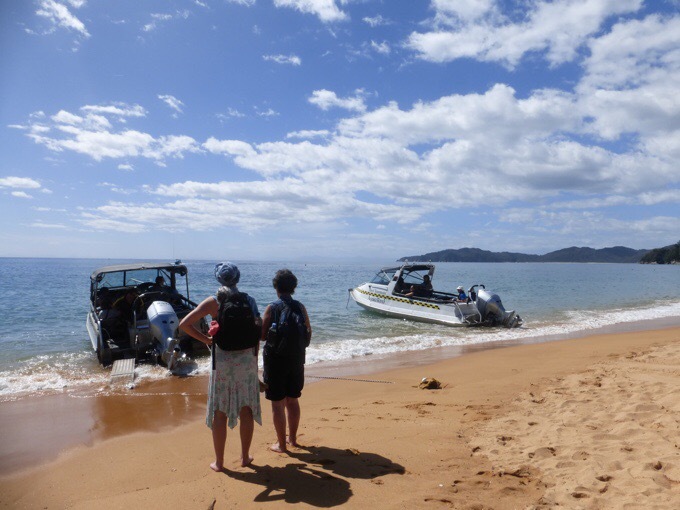 I used the smaller family owned water taxi of Marahau Taxis and they were great! The water taxi driver found out he didn’t need to be anywhere for awhile, so he impulsively took our small boat full of people on a little tour. It added about 40mins to the taxi ride, but was totally worth it! 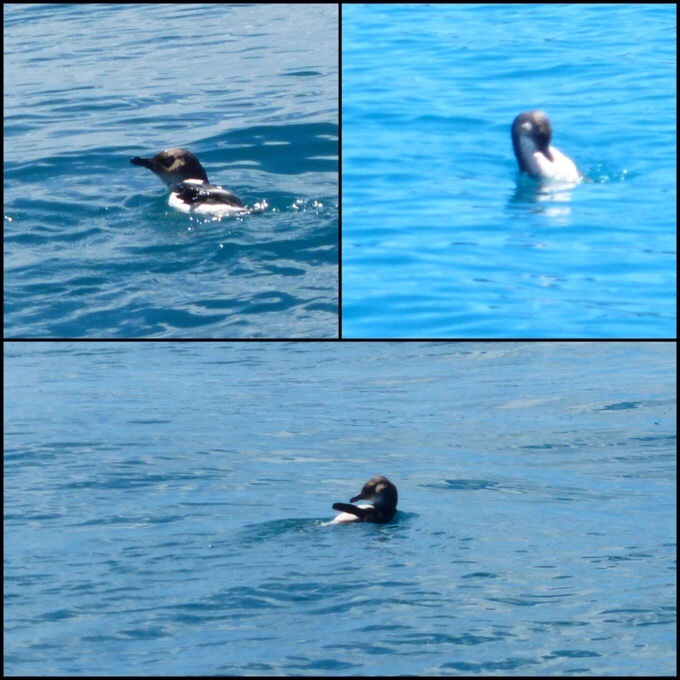 First we saw a little penguin. The driver was even excited to get to go to these locations because he rarely gets openings in time like this during high tide when the water is high enough to go where we went. He took us to three places. 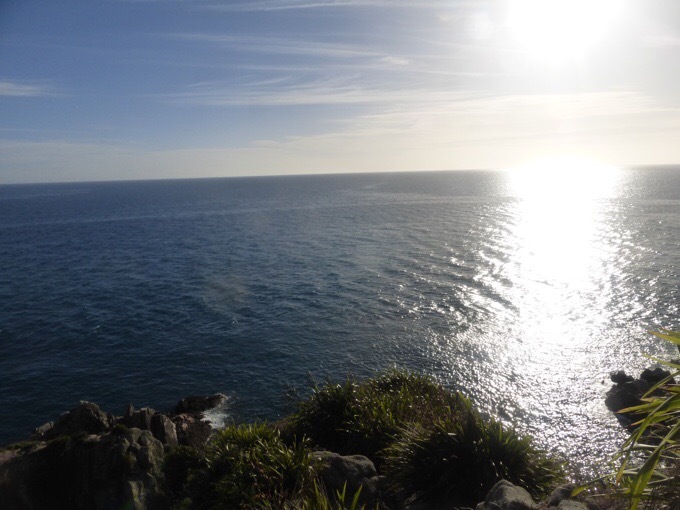 First, was Shag Cove where many seals and their pups tend to be later in the summer. We saw one in the water there, but were a little early. It was like a surreal magical paradise kind of place in there though. 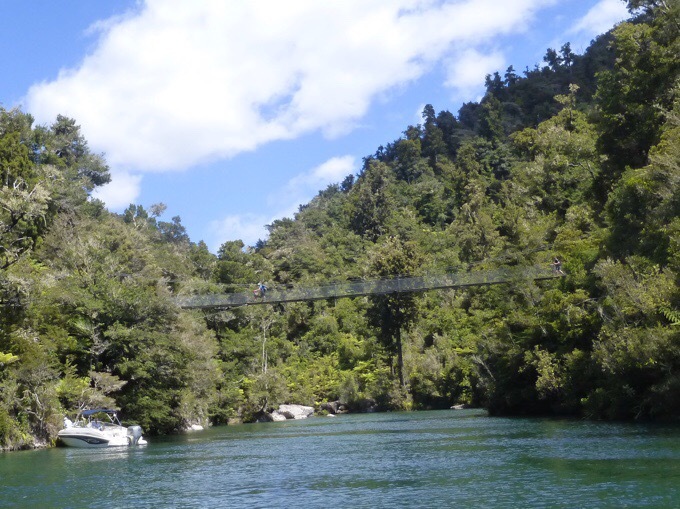 Then he swung over to the cove that went to the Falls River suspension bridge that I hiked over on the Abel Tasman. The whole taxi ride back was cool overall because it was a sea view of everything I had just hiked on the track. 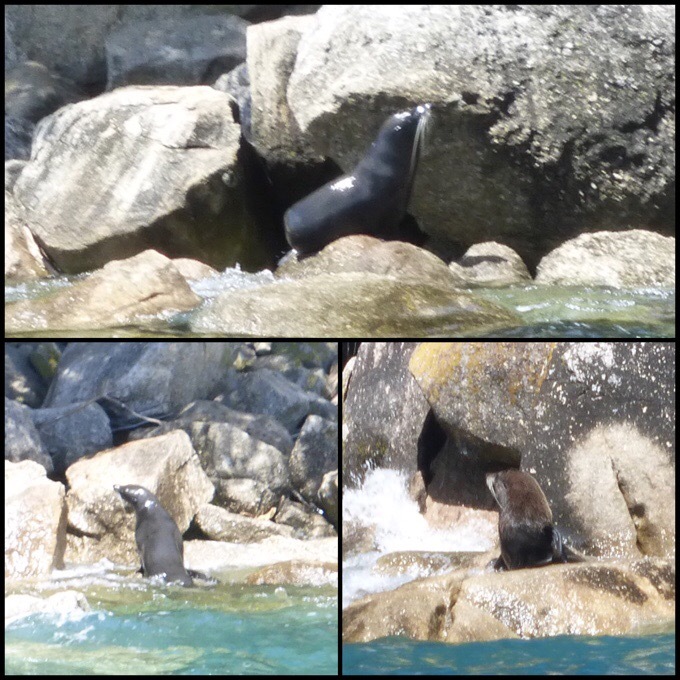 Finally, he took us to Adele Island where many seals and pups hang out and we got to see many. It was pretty cool, and I even realized that Adele Island was the big Island I had across from me my first night at Apple Tree Bay. Pretty cool. 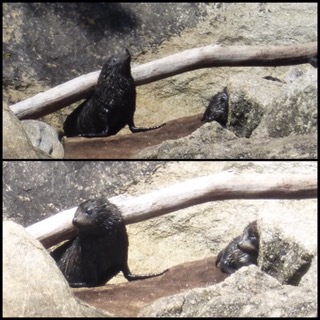 These are the best shots I could get of seals and pups. I got lucky with the hitch out of Marahau. A couple on my shuttle was a couple I overlapped with briefly when waiting to cross the inlet yesterday. 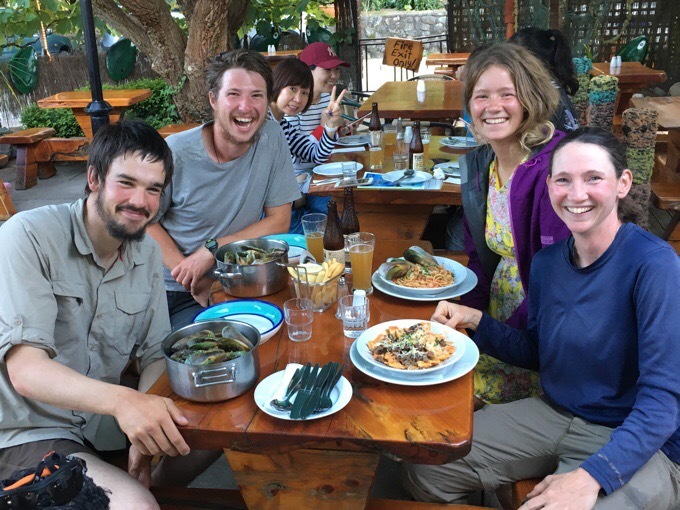 I got a ride with them and I had them drop me off at the first town on the way to Nelson so I could do my resupply for the ~7 day leg through the Richmond leg. This saved me quite a bit of money because there was only a small pricier store in Havelock. I knew I should have written the couple’s names down with all the people I’d meet today, but I didn’t, and I am drawing a blank, but I want to tell them THANK YOU for the ride! Then from that town, it was one main highway ride for a couple hours through Nelson to Havelock. I held up my sign for Nelson since it’s bigger and closer, and within a couple minutes, I got a ride with three older teenagers driving home from a Marae cultural event they had attended. 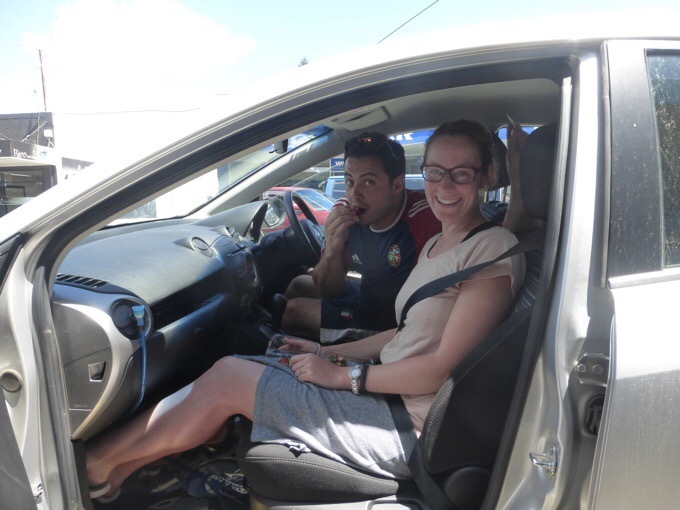 Along the way, they stopped to grab ice creams and drive one of them home, but then they were kind enough to drop me at the far end of town for my final hitch to Havelock. I forgot to get a photo of this crew. The hitch to Havelock also took just a few minutes. 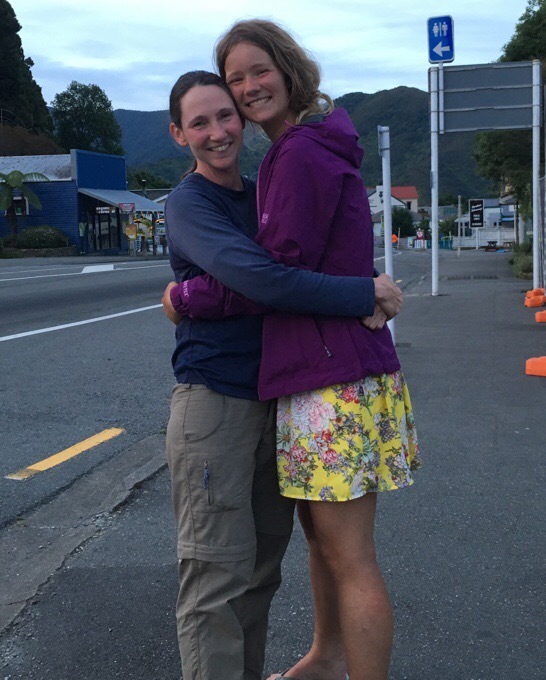 A woman named Fleur, who lives along the Te Araroa in Havelock picked me up and was a pleasure to talk to. 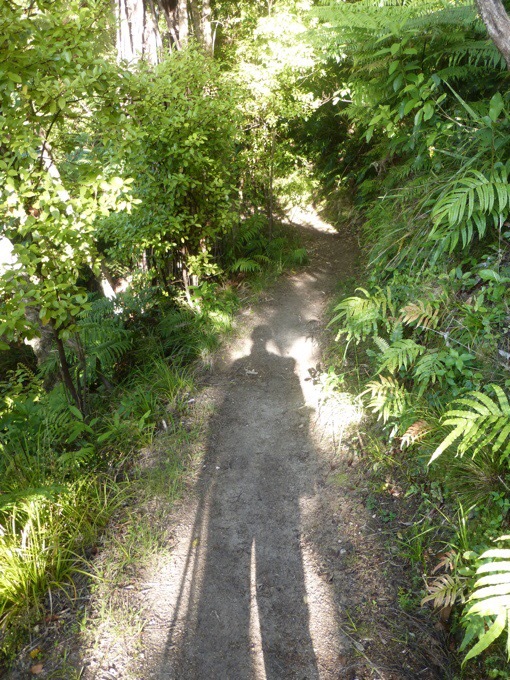 This hitching thing here in New Zealand isn’t bad at all! 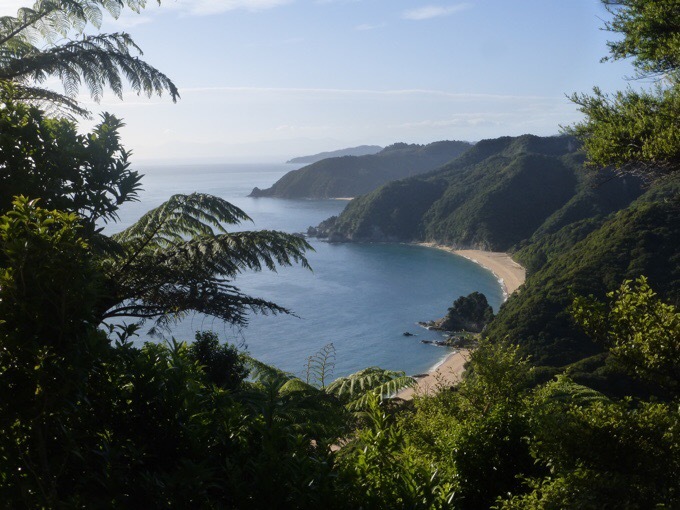 It makes me very hopeful about doing more side trips as I head down the South Island. When I got to Havelock, it was 4:30pm. Just enough to time to get settled and do my shower and laundry before dinner with Becky, Tom, and Christophe. These last handful of days on my own were the perfect testing ground for both Becky and myself to hike apart in New Zealand. We’ve been together for about two months on the North Island, and I wouldn’t take back that experience for anything. There is a mutual love, respect, and attachment there that is very unique and special. However, the South Island is a whole other beast that we both want to experience very differently. 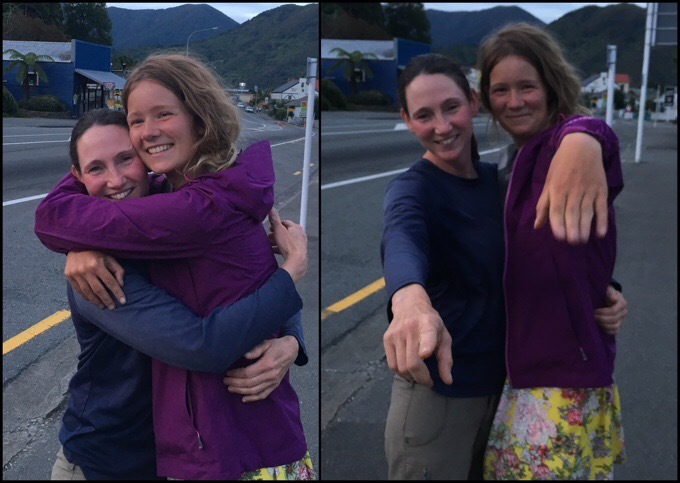 Becky and I were able to meet before dinner and have a very realistic and honest discussion about what we both want out of the South Island. For me, I’m fueled and energized by the more mountainous terrain we are headed into. I’ve been naturally waking quite early each morning ready to HIKE. I feel the momentum and natural force of going on solo. At the same time, this is Becky’s first hike, and it’s going to be over soon. She’s feeling a pull to savor it and take it in more. There is no rush with weather and she has plenty of time. I am also excited about that open window and possibly doing more side trips similar to the Abel Tasman as I head down. Becky will live here for a full year, and has time to do some of these side trips after the hike. She also enjoys hiking with groups, and is with great people in Tom and Christophe. Plus, most of our friends are just a couple days back. At this point, this seems to be a natural place for us to part ways for now. Just looking at tomorrow, we already have different plans for how we’d like to start the Richmond Range. They are going to get a more relaxed start after making breakfast and leisurely getting up. I know I’ll probably be up early naturally and ready to take advantage of nice weather to make it a bit further tomorrow and capitalize on clear weather in a very rough section similar to the Tararua Range on the North Island. I see a window, and think I could get through in 6ish days whereas they are bringing up to 9 days of food with the option to take time in the huts if weather hits. We both are sad to not be experiencing this hike together anymore, but it is time. Becky’s got this and knows how she wants to experience her hike. I’m proud of her for knowing that and not letting habit dictate how we move forward. I’m just glad we both can understand the whole Hike Your Own Hike (HYOH) mentality that it’s no ones fault. Everyone needs to experience a hike in the way that best suits them. The last thing I want her to do is look back and regret not taking more time to do the South Island. We both should savor it and take it in in a way that is fun for each of us. So, it is with that decision that we had our final dinner together. Since Havelock is apparently the green mussel capital of the world, we went to the Mussel Pot restaurant. Tom and Christhophe each got the real deal while Becky and I played it safer with pasta. Becky’s was a seafood pasta and I stuck to my beef in the sauce. I did eat two mussels though, and that was plenty, ha! We hugged it out after dinner, and it was very bittersweet. I would be lying if I didn’t say that this was a tough decision. Becky is such a light and force to be around that you can’t help but smile. She has helped me to grow as a person even more than I have helped her. I’m sure people wonder why I can’t just slow a bit to take it in, but I know what will happen with that just even tomorrow morning. I’ll be up at 6am ready to do some awesome morning hiking that personally fills my soul, and I won’t do that if I wait to go leisurely. They deserve to sleep in and go when they are energized as well. I’d be cranky if I missed out on morning hiking and they’d be cranky if they had to wake up early to hike. It’s a small difference, but quite large over time and in the bigger picture. I’m excited for Becky to take on the South Island her way, and I know she’ll love it. We will keep in touch, and should never be too far apart. Heck, we might even land in the same hut tomorrow night or town at the same time to end this leg. We joked that one day they might just pass me right by. If I do some of the side trips I have planned, there’s also a chance we will overlap again. There had always been the hope of a Queenstown bungee jump together, and if we are somewhere close to each other at the end, we’d love to finish together. We will be in contact, and I will relay updates for everyone from time to time and probably some photos. Our little bird is leaving the nest and flying beautifully free! Goodbye Becky! Photo attempt #1 and instructing Tom to back up. The yellow dress must make a cameo. That’s the one. Yep, I’m gonna miss this one! We are going to miss Becky in your posts as well! I checked a few sites for info about the Australian Gannet also known as the Australasian Gannet and have good news. Numbers have been increasing since 1950 and they are considered to be ‘not threatened’. 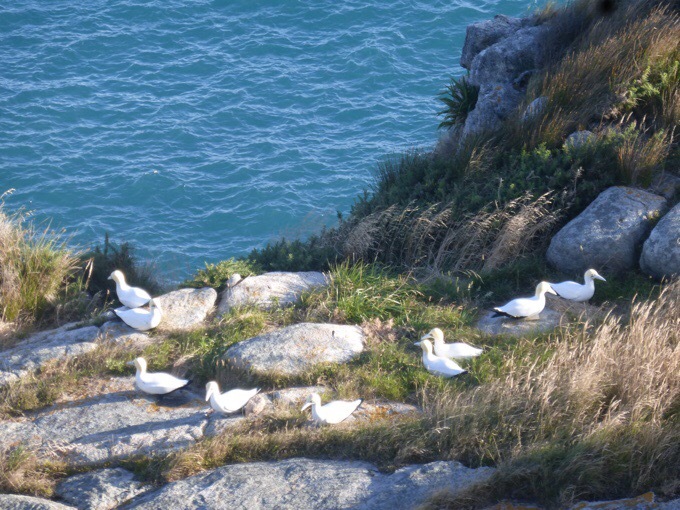 They are common on the coast of New Zealand where 87% of the adult birds live. Oh, so nicely put, Erin! I got a little teary eyed!! It’s almost like the bird is leaving the nest. Best of luck to Becky. Erin, I know that you’ll be fine. Only good friends are able to speak freely the way you and Becky did. Impressive. New Zealand is still our favorite country. The people are just as beautiful as the country. It brings me back to read your posts. It’s so nice to know that people didn’t change. They are still simply wonderful. Enjoy every minute of it. Wow, those last photos tell it all. What a friendship! You are truly lucky. “There is a mutual love, respect, and attachment there that is very unique and special.” It is very wonderful that you feel able to write those words. As readers who have nothing more than words and photos, I believe that most of us could see what you’ve now so lovingly put into words. You’ve been a blessing to each other in an amazing way and it’ll be cool to see where you two connect again. You’ve been blessed in many ways. Little Jen sounds like she was fun to play with and she sure made your day finding your sunglasses! Erin I love the way you tell things just the way they are, no more, no less. So far as Becky is concerned, I reckon you have taught her most of what she knows and now like all fledglings, she is off and out into the wide world to cope on her own, which thanks to you she will do just fine. Good luck to her, and you have both done the right thing I reckon..
Would also like to mention that easy and safe hitching is a good sign of a truly civilised country.. I am sad, but certainly understand. The yellow dress is perfect on Becky, isn’t it? You had quite an amazing day all round. By the way, the norovirus is hitting hard around the U.S. with tales of 15 pound losses and extreme loss of bodily fuids.. they ere stressing soap and water..
Not meaning anything by it, and sympathy to those affected, (had a bug myself) but many would benefit from a 15 pound loss, or even a 30 pound one .. once it’s off, keep it off! And what is it, that is being used instead of soap and water, and why?! Chemicals are rarely a better option .. Sounds like the right thing to do. I know my best hiking is as early as I can see the trail in the morning and it would be hard to feel like I’d wasted my best energy just to hang with others, even if the others are fabulous people. Hard decision but it sounds spot on. Enjoy the next part of this adventure! South island cell phone connectivity is far more patchy than the north island so there may not be regular blog updates from now on…. I did forget to mention that, but so far so good. I just have to hike far enough each day to get to those reception spots, ha! “planned side tracks” : it would be nice to read a live topo of Hollyford+Pike. Any chance ? I want to see Milford too.